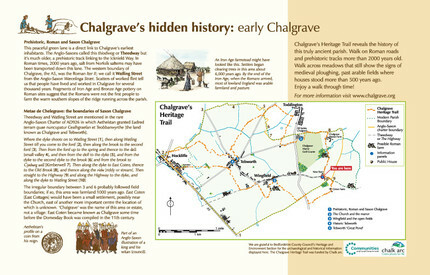 The Chalgrave Heritage Trail is a circular walk or around 8 miles that uses existing footpaths and bridleways, plus one permissive path. It can be walked in its entirety or in sections using other footpaths to return to your starting point. 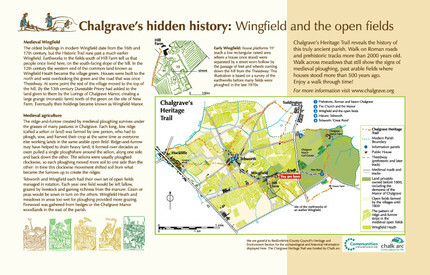 The trail takes about four to five hours to walk in its entirety, and along the way there are five noticeboards providing information about the landscape, wildlife and buildings of interest. The trail was created in April 2009 and more recently the Tebworth pond was improved and now features a bench seat with a back panel designed by the children of the parish. 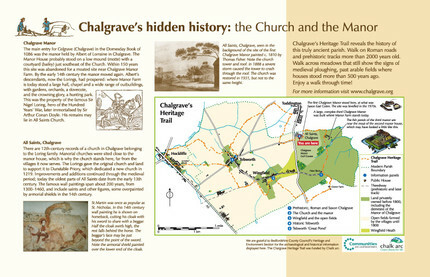 We are grateful to the Chalk Arc for funding this project. 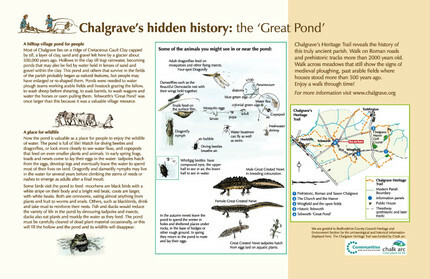 A PDF copy of the information leaflet is available to download here. 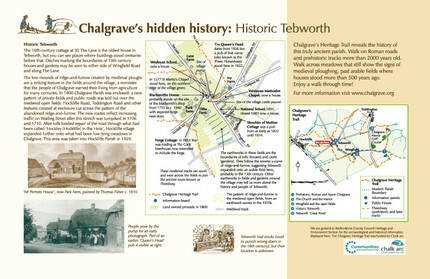 Printed copies are available from The Queen’s Head in Tebworth, or The Plough Inn in Wingfield. Copies may also be obtained by contacting our parish clerk or using the contact us facility. If you live outside the Parish, we would appreciate a S.A.E. 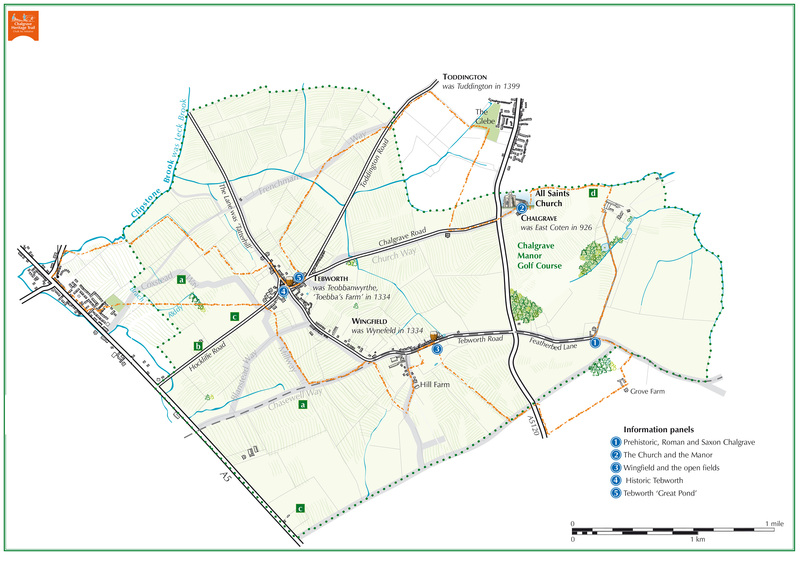 You can also find an OS map of this walk here at walk4Life. Wingfield and the Open Fields. The Church and the Manor. This circular trail starts at the information board in The Lane, Tebworth (Point 4 on the map), just north of Dunstable on the A5. The nearest postcode is LU7 9QB. There is roadside parking in the village – please park considerately. Map references for starting point: SP 990 267 or Latitude 51.930551, Longitude -0.56044891.